ASSIGNMENT >> 9. Read "Remedies." A withhold is an undisclosed contrasurvival act. 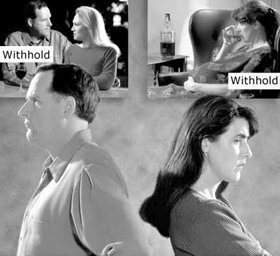 If a husband and wife have withholds, the marriage will suffer. A Scientology auditor can help restore communication between the couple by relieving them of their transgressions. There can be instances where writing up overts and withholds do not fully relieve the discord between the marriage partners. Where this occurs, one should contact a Scientology auditor to help rectify the matter. An auditor is someone who is trained and qualified to apply Scientology processing to individuals for their benefit. Processing is a special form of personal counseling, unique in Scientology, which helps someone view his own existence and which improves his abilities. Communication that is free and open is vital to any lasting and fulfilling relationship. Another answer to restore a high level of communication between marital partners is Scientology Marriage Counseling. This is also provided by a Scientology auditor. 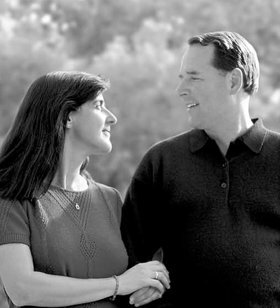 A husband and wife can utilize good, honest communication between themselves to create and continue a happy, fulfilling marriage. If both of the people involved work at keeping the agreements they have made and abide by the moral codes, and if the couple keeps the communication free and open between them, they will strengthen their relationship.